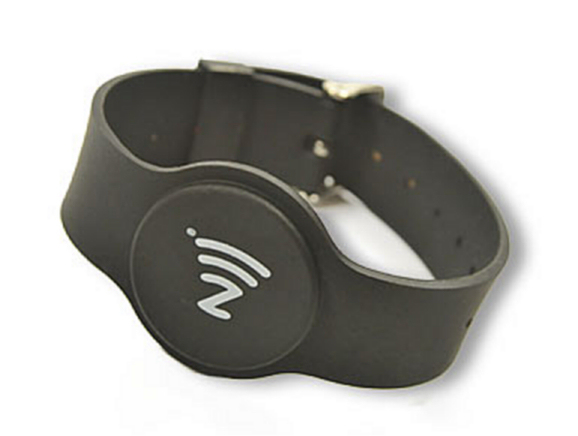 This is our new adjustable, removable, watch strap style silicone wristband. This wristband is waterproof in a soft silicone and robust metal buckle. The size is suitable for the majority of adults as it is fully adjustable. The strap is 20mm wide and the head is 35mm wide. This emergency ID wristband will really stand the test of time. 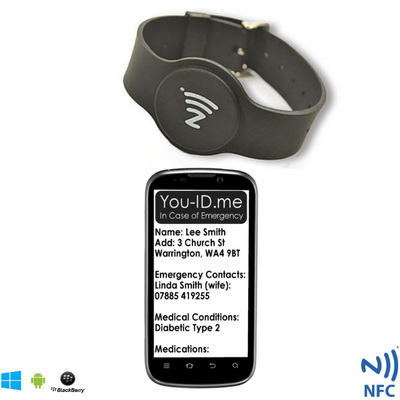 It's 100% waterproof, dust-proof and weather proof and it carries a recognised symbol for NFC so is easy to find by paramedics and emergency services. 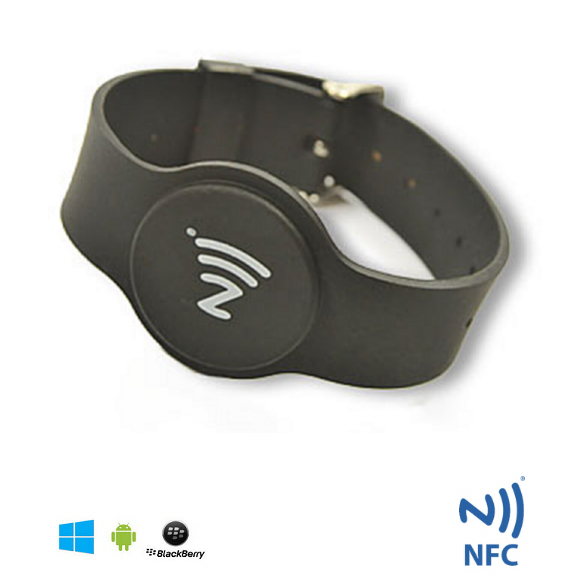 Lightweight, fully waterproof and capable of UNLIMITED remote updates our Premium Watch Strap Style Silicone NFC Identity Wristband not only provides excellent value and maximum peace of mind for family... it also looks great too! The wristband watch stlye face has an embedded NFC tag containing a link to all your vital ID, contact and medical information which we host free for life. All paramedics or emergency services need to do is gently touch the band with a compatible NFC enabled mobile / Smartphone / device. Suitable for most wrists. Available in black only.